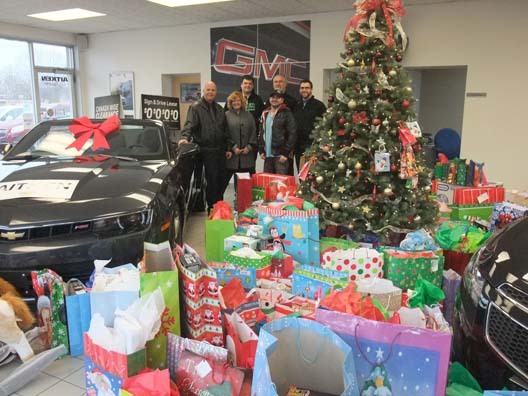 Aitken’s Chevrolet Buick GMC Christmas Wishes was a huge success this year along with the help of the Christmas elves from MY FM. 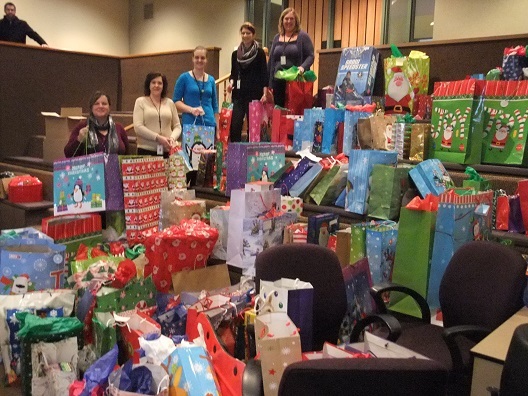 The Children’s Aid Society of Haldimand and Norfolk were the recipients of this Christmas Community Campaign. With the support from the community, four vehicles were filled full of gifts, and arrived at our agency. 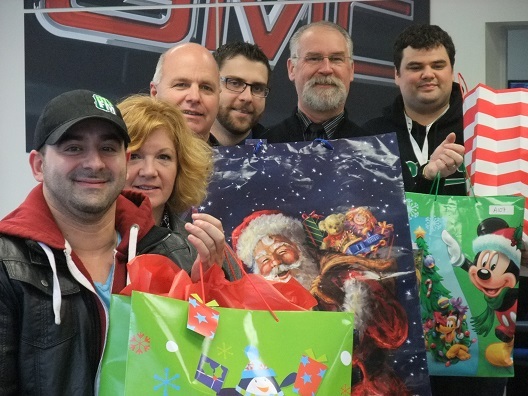 We are most grateful to Aitken’s, MYFM and the community support for these gifts. They will be distributed within the community to make a lot of children’s Christmas morning brighter. You are all Christmas Angels. Staff standing in awe as to the amount of gifts donated through the Aitken’s Christmas Campaign.